Do you like to draw? One of the most annoying things about drawing is the work that goes into removing things that aren’t supposed to be there. Guide lines have to be erased, sometimes you think something would look better if it were just a little rotated, and so on. So what can we do to make things easier for you? If you’re an artistic kind of person, you’ve probably thought about experimenting with a drawing tablet from time to time. What has kept you from trying one? Is it the price? Their complexity? Whatever the reason, we’ve found a product that’s perfect for you, so take a look and choose your favorite. We’ve taken a closer look at the market and chosen our favorite digital drawing tablets. You’ll find their names and sizes in the table below, but don’t go rushing into a decision just yet – we’ve got lots to say about them. Now that you’ve seen the products we recommend most highly, let’s look at each of them in turn. We’ll be trying to find the areas they excel in, the areas they could use some work, and who they’d be best suited to. 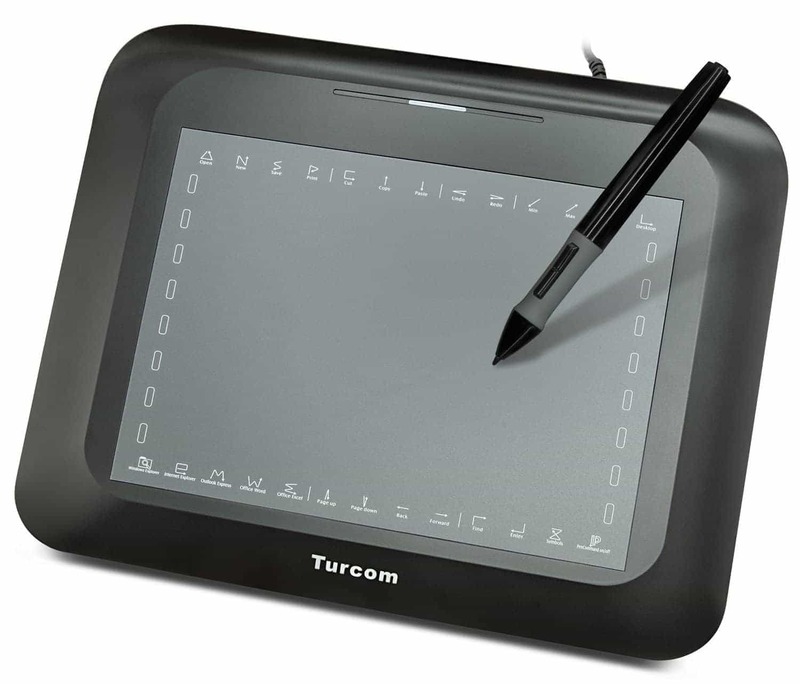 Let’s start with the least expensive drawing tablet in our list, the Turcom Graphics Tablet. Maybe you don’t want to spend a lot of money, but you still want to try out a drawing tablet for yourself. 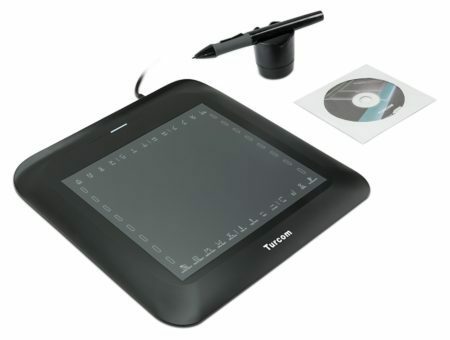 In that case, there are plenty of low-budget models to choose from, but one of the best among them is the Turcom Graphics Tablet. It’s on the market for around 35 USD, and it’s a fairly big tablet for the price. It measures 15” wide and 14” tall, although the active area is quite a bit smaller, at 8” wide and 6” tall. It’s also nice and lightweight, at just two pounds, so it’s easy to hold for an extended period of time. The top and bottom borders of the active area are filled with shortcuts to make your life easier – there are dedicated buttons for common drawing functions like undo and redo, but there are also keys which take you directly to your desktop or email client. This means that this tablet can even function as a replacement for your mouse if you’d like, although we wouldn’t really recommend it. Unfortunately, you do have to start the driver every time you boot your PC, so we’d recommend setting it up to do this automatically. While this product does work with Windows, Linux, and MacOS, it’s clearly designed with Windows in mind. There’s a good amount of software included in the box and several of the programs are designed to integrate alongside Microsoft products. For example, there’s one which plugs into Microsoft Word, making it easier to insert your signature or write notes. There’s also a driver CD, a 1.5 meter USB cable, five spare pen tips, and one AAA battery to power the pen. The drawing surface has 2048 levels of sensitivity, making it a simple matter to draw lines of different thicknesses without messing around in the menu every time. Even though it’s a fairly inexpensive drawing tablet, it comes with a full year’s warranty. If it breaks for any reason, you can have it fixed or replaced at no extra cost, which should help put you a little more at ease. There’s a lot to like about the Turcom. It is a fairly basic graphics tablet, but it performs its functions well and we especially liked the wide range of hotkeys on offer. Why not give it a shot? At under 40 USD, you might be surprised by how well it works. Left-handed people have always had more trouble using a pen than right-handed ones. If you aren’t careful, you end up with ink all over the bottom of your hand! These days, most drawing tablets have their hotkeys on the left-hand side, which means that you could accidentally hit them during a crucial moment. Thankfully, the Huion H610 Pro allows you to flip the tablet around and use it whichever way is most comfortable. It retails for around 65 USD and measures 16” wide, 12.6” tall and 1.9” thick. It weighs 2.4 pounds, and has an active drawing surface which is 10” by 6.25”. There are eight hotkeys on the left-hand side and a row of sixteen along the top which can be customized to do whatever you want. This could be anything from opening a new document to applying a specific filter, so you’re really free to let your imagination run wild. You could even set up a program which uploads your images to the cloud and set it to run every time you hit one of the keys. This would provide a secondary saving system and protect your work in the event of hard drive failure. Instead of using a battery, the pen for this model is charged via USB. It’s wireless and lasts for weeks at a time between charges. Further, it offers 2048 levels of pressure sensitivity, so it should make it easier for you to draw complex images quickly. The tablet supports Windows and Mac operating systems by default, but there are also Linux drivers available from Huion’s website. We’re not sure why these weren’t included on the installation CD – they’re not particularly large files, but they aren’t too hard to find, so it’s not a huge problem. 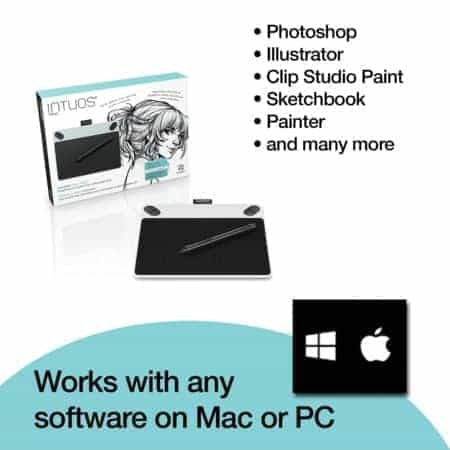 This tablet is compatible with all of the main drawing programs such as GIMP or Adobe Photoshop. It comes with a one-year warranty and even though it’s made of plastic, it’s nice and sturdy, making it unlikely to be damaged unless you drop it on a hard surface. All things considered, this is a really good graphics tablet. It’s very versatile, catering to all the major operating systems, and the lefty flip functionality saves left-handed users from a major annoyance. This tablet would be a great fit for semi-professional artists thanks to its wide range of useful features, although it’s a little too large to be portable, so you’ll likely need to make it a permanent fixture on your desk. If you’re looking for something that will let you draw directly onto your computer screen, but can’t justify having it on your desk at all times, you’ll want something a little smaller. 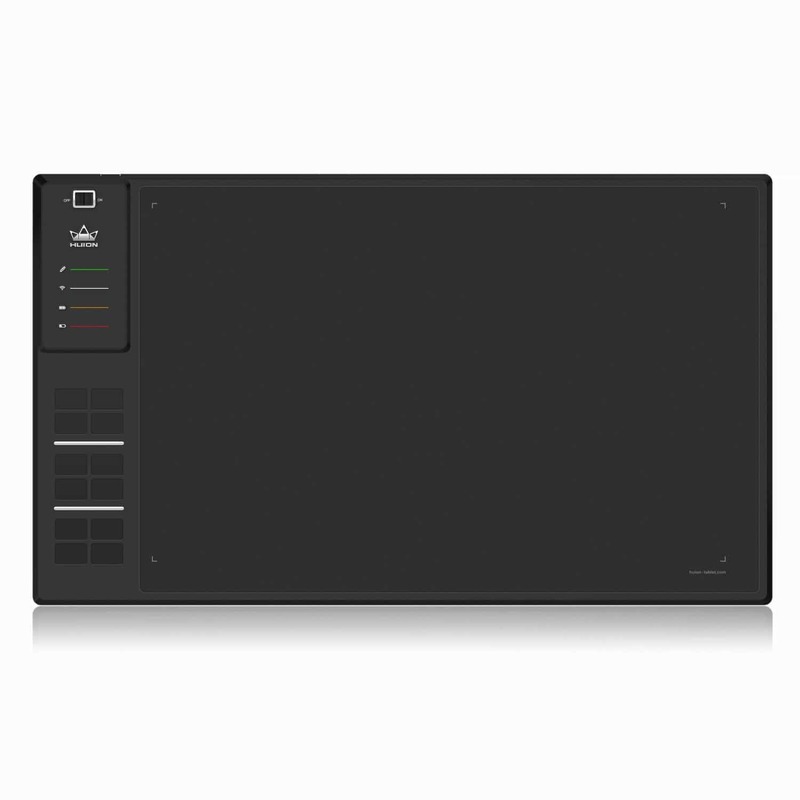 The Wacom Intuos Draw CTL490DW is perfect for this – it’s absolutely tiny! The whole tablet measures just 8.25” wide and 6.7” tall, and the active drawing area is just 6” wide, 3.7” tall. This product is also very lightweight at just over ten ounces. This means that it’s a very portable tablet indeed, and as a result, it’s great for taking with you on the move. There are some drawbacks to this, of course. The smaller area takes a little while to get used to, but once you do, it’s easy enough to draw and navigate with. 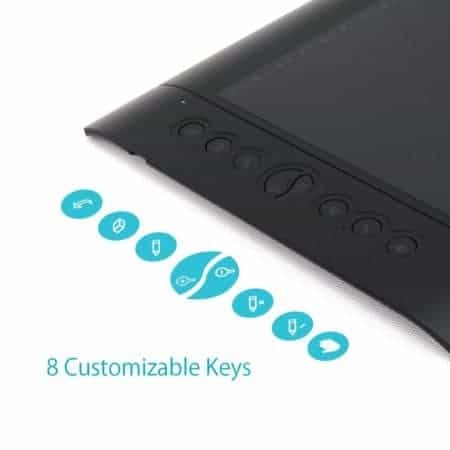 There are four customizable hotkeys – we’d have preferred to see a few more, especially since this tablet isn’t exactly cheap (it costs around 80 USD). Even the Huion H610PRO had more than this one does, and that’s quite a bit less expensive. You’ll be pleased to hear that the CTL490DW works perfectly on all of the major operating systems. It even comes with a software package called ArtRage Lite. This allows you to sketch out drawings, and there are even tutorials to help you get to grips with the basics. ArtRage is unlikely to compete with any of the more well-known drawing packages, but it’s certainly a step up from Microsoft Paint. One interesting thing about this model: the pen doesn’t take a battery and doesn’t need to be charged in order to work. Believe it or not, it actually uses the pen’s magnetic field in order to gauge its position and the amount of pressure that’s being put on it – cool, right? This means that it’ll work as intended as long as the tablet itself is charged. As before, there are different pressure sensitivities which allow you to draw thicker or thinner lines as needed. If you’re in the market for a sleek and compact graphics tablet, there are not many around which are smaller than this one. What it lacks in functionality, it makes up for with a truly portable design. The inclusion of a free drawing package is attractive too and should go some way towards justifying this tablet’s slightly higher price point. 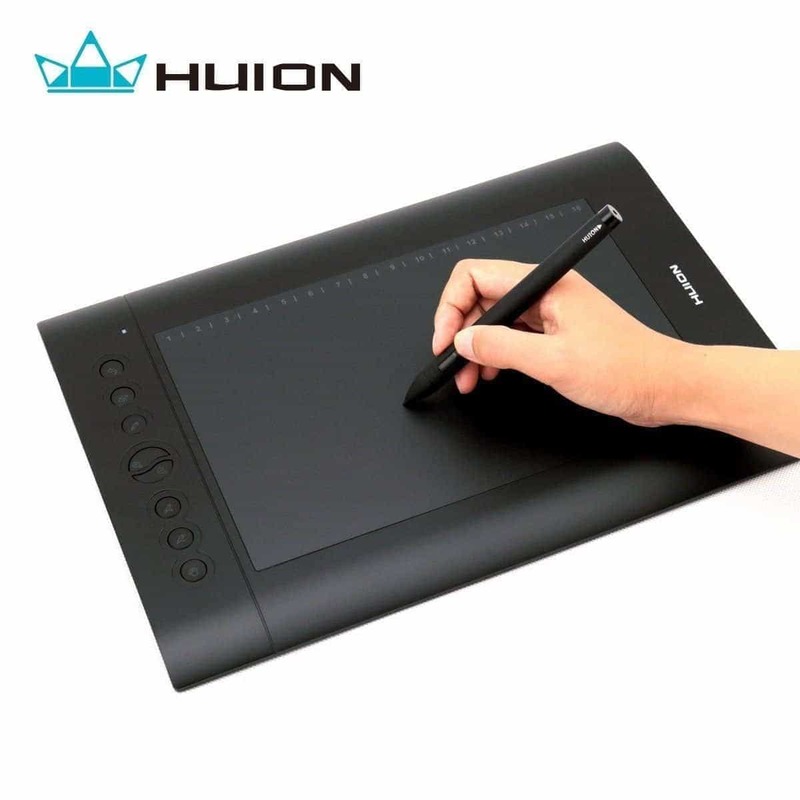 The Huion Giano WH1409 is the complete opposite of the last product we saw. Whilst the Wacom CTL490DW was ultra-small, this tablet is absolutely huge – in fact, it’s the biggest graphics tablet that Huion make. 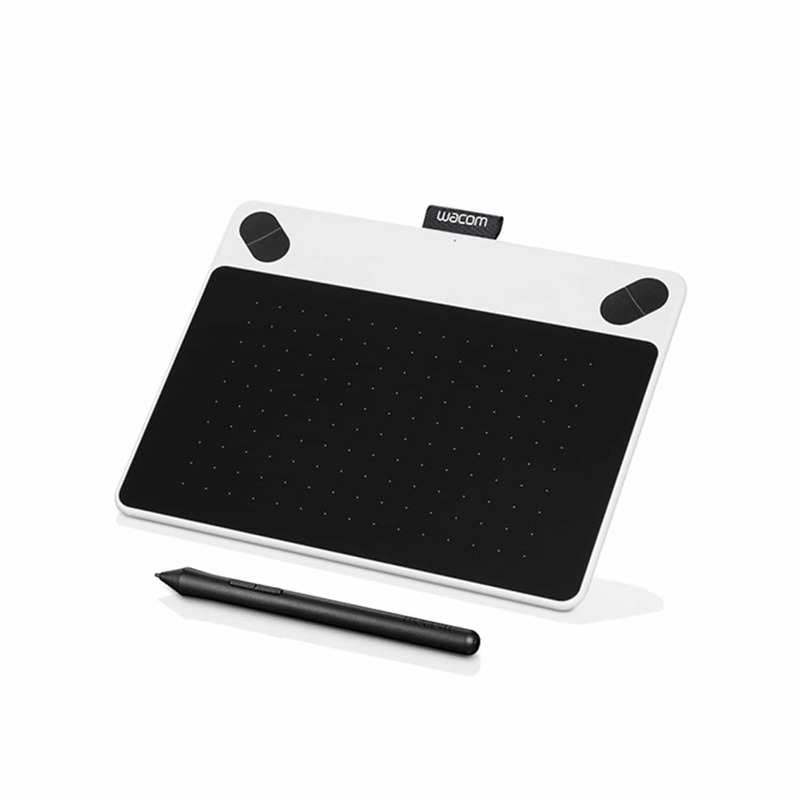 It costs around 160 USD, so it’s more suited towards serious artists than people who just want to try a graphics tablet out. 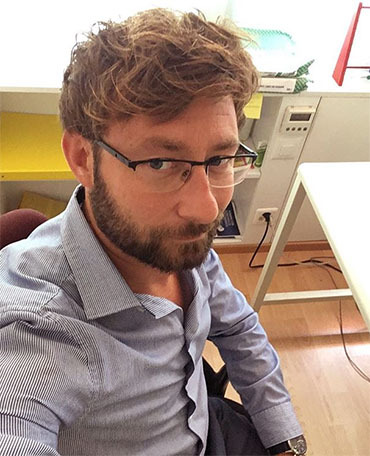 There are a lot of ease of use functions that really help make this product a dream to work with compared to a less expensive model – take, for instance, the tablet itself. 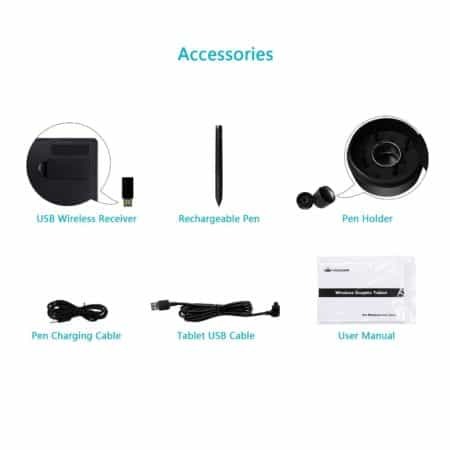 It can be used while connected via USB cable, just like any other tablet, but it can also be connected to a wireless network. As long as your computer is connected to the same network, you can use it without having to worry about tangling cables or accidentally pulling it out. There is a limit to how far you can go, of course, but at 40 feet, it’s unlikely you’ll ever reach it. The pen is rechargeable too, which is a nice touch. This tablet is a massive 18” wide, 10.5” tall, and 0.6” thick. The active area is pretty huge as well, at 13.8” wide and 8.6” tall – this gives you a far more precise understanding of where your pen is at any given time and reduces the amount of scrolling you’ll have to do within your drawing software. It is pretty heavy though, weighing five pounds – this tablet is better used on a desk than in a lap. There are twelve customizable hotkeys on the left-hand side of the unit. These are segmented with a ridge so that you can easily identify them without looking, and there are also battery life and WiFi strength indicators in the top left-hand corner of the tablet. You can flip this tablet around for easier use if you’re left-handed, and everything will still work flawlessly. At this price, not everyone will be able to afford this tablet, and fewer still will have the space for it on their desk. That said if you’re looking for a tablet that’ll last a long time and allow you to draw however and wherever you want, the Huion Giano WH1409 is second to none. It’s got hotkeys, it’s got a lefty flip mode, it’s got an absolutely huge active area – what more could you ask for? Now, this is a big one. One thing that all the other tablets we’ve seen have in common is that they all require you to have a monitor. The Cintiq DTK1300 is a different beast altogether: it’s a tablet, but instead of an opaque drawing surface, it has a 13.5” full HD screen. It connects to your Mac or Windows PC using a mini HDMI cable, and after that, you’re good to go: you can load up your favorite software package, create an image and draw right on top of it. As you might expect, this product is considerably more expensive, and as a result, it’s only suitable for high-level digital artists. At around 800 USD, it’s only for the most dedicated of users. The unit measures 14.8” wide, 9.8” tall and half an inch thick. It comes with a rocker button, four customizable hotkeys, a three-position stand, and a rechargeable pen. There are nine replacement nibs for this pen, and a carry case to protect it from any damage whilst in transit. It’s an absolute joy to use – not only can you change line thickness and brush type right there on the screen, it also has built-in palm rejection, so if you get a little careless, you don’t have to go and erase all the smudges that you accidentally put onto the canvas. It has a slot for a microSD card on the side, so you can even save your work to that as you go, which provides a secondary backup location in the event of a power cut. We do think that this product could have been priced a little lower though. Given that you can pick up an Android tablet for less than a hundred dollars these days, it seems excessively priced, even with the inclusion of drawing software and the pen. We can’t argue with its performance, however – it does exactly what it’s supposed to, and its display is nice and sharp, with vibrant colors and a good response rate. This tablet is great for professionals, less great for everyone else. 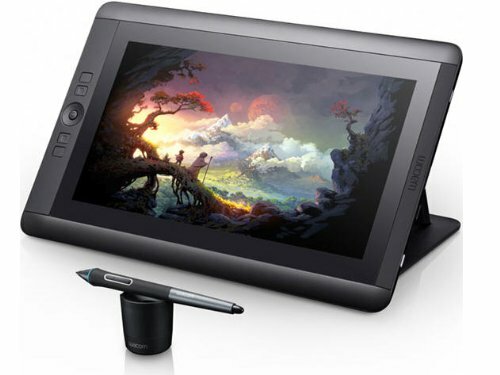 Its high price point makes it impossible for most people to afford, but the ones who can will find a solid, well-performing graphics tablet which can be used almost anywhere, for almost anything. It’s a unique take on the traditional tablet, and this innovation is what allows it to thrive despite its price. 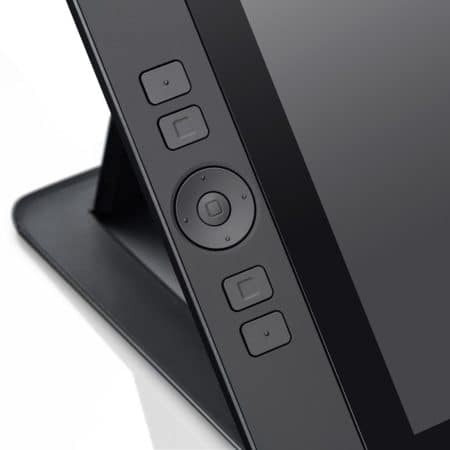 Buying a drawing tablet doesn’t have to be difficult – they’re fairly straightforward for the most part. That’s not to say they don’t have a few important features to look out for, though. 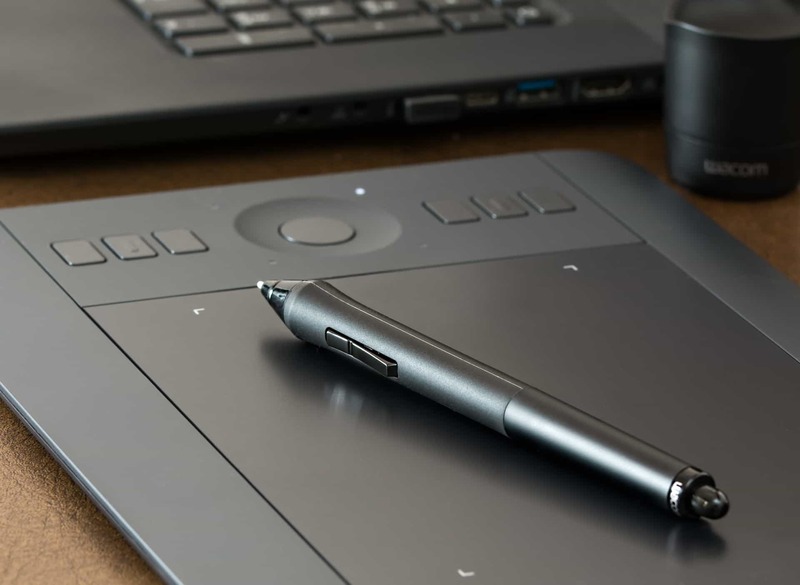 To help you find the product that’s best for you, we’ve put together a short guide to some of the most important considerations you should make before you spend any money on a new graphics tablet. First things first: how large is the tablet? A tablet with a smaller size will be more easily transported from place to place, but these often require you to scroll around your document a lot onscreen. You’ll also have to reposition your hand more frequently as you approach the edges of the drawing area. Conversely, larger tablets are harder to move around, heavier and take up far more space on your desk. Some people find these easier to use though, so it’s really down to personal preference and the amount of space you have around you. Make sure to check which operating systems your tablet works with. The majority of them are plug and play with Windows and MacOS, but Linux support varies pretty wildly between products. How is the pen powered? Usually, less expensive models will use a simple AA or AAA battery, but if you’re willing to spend a little more, you can find one with a rechargeable internal battery instead – these are far more convenient and ensure that you’ll never run out at a crucial moment. As your budget increases, you’ll find that you gain access to far more functionality. Depending on your needs, you might be able to work with a fairly basic model, but if you’re looking to use this tablet for professional work, little additions such as customizable hotkeys will really increase the speed at which you can produce results. You should also check out the tablet’s sensitivity. This can range from a simple eight different line thicknesses, all the way up to 2048 different levels of pressure. There’s a great little guide which explains the pros and cons of various stylus types here which you might find useful.